These tips will help you have a more rewarding experience learning your instrument of choice. In our thirty plus years of teaching thousands of students we have found these points to be very effective for beginner thru advanced students. 1. 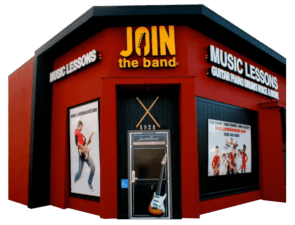 WHAT IS A GOOD STARTING AGE FOR MUSIC LESSONS? Adults can start any instrument at any time. All they need is to commit to practicing. We have many adult music students in our school. Starting a student at the correct age is a very important part of beginning lessons. Different instruments require specific techniques that could be frustrating for young children. Forcing lessons to early can easily turn a student off if they are just not physically and mentally ready for lessons. Please talk to your prospective teacher for their opinion on if your child is ready for a particular instrument. In our experience we have found the guidelines below to be accurate. Five years old is a good starting age for piano. The physical part of pushing down on the keys is very easy for a young child. At this age they generally can focus more easily on the lessons than a younger child. Guitar: Electric Guitar, Acoustic Guitar and Bass Guitar. Eight to nine years old is the youngest we recommend for guitar. Though we do take it case by case. Because of their smaller hands the physical part of holding the guitar neck, pushing down strings with their fingertips, and holding a pick can very difficult for young children. We do have kids as young as six years old on guitar but we prefer to evaluate them first at the school. Bass guitar depends on the size of the student’s hands. We have found between eight and ten to be a good starting age for bass guitar. Eight is a good average age for drums. Though we have seen younger drum students (5-8yr) learn on small kids drum sets, the endurance required to play a three to four minute song is harder for a young student. Lung power has a lot to do with success on these instruments. We have found between 8-10 years old is a good general range. Since breathing technique is crucial to voice lessons we have found the range of 9-10 years to work for young students. The development of their vocal chords and lungs will greatly influence their lesson experience. Group lessons work well for music theory and toddlers. However group lesson on a specific instrument do not serve the student well. The teacher has to spend time catering to the variable levels of everyone in the group and can’t focus on the individual needs of every student. With private lessons the student has the full attention of the teacher and lesson can be tailored to the needs of the student. Though we do offer in home lessons our experience has found that students do much better when they come to the school. At home the student are in their comfort zone. Plus the distraction of phones, TV, siblings, pets, and more can make the lessons unfocused. Lessons at a school puts the student in a learning environment where all the attention is on learning music. The motivation they gain by hearing other kids taking lessons and performing simply can’t be matched in the home. Set aside the same time every day to practice so it becomes a routine. With most students this works very well. Use repetition instead of time to guide daily practice sessions. Instead of making 20-30 minute practice time mandatory, a goal of repeating a piece of music and/or music exercise 4-5 times a day gives the student a clear goal for daily practice. Give rewards. Acknowledging a job well done goes a long way in boosting a students confidence. We recommend books and teaching materials that are proven and well established to guide students to a rewarding lesson experience. Solid fundamentals are key to music lessons and established methods have proven to give the best results. If you ever have to change teachers these methods are well recognized by qualified teachers and you will be able to pick were you left off.